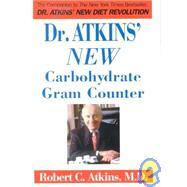 My Atkins Diet Carb Counter is the most important tool that I have to help me stick with my diet. If you don’t regularly use a carb counter, you may not realize just how helpful it can be. The Atkins diet menu plan is very clear on what you can and can’t eat, especially during the Induction Phase. What may throw you off is in understanding how much you can eat of a particular food and how much the carb count is affected by how the food is prepared. It’s obvious that a grilled chicken breast is good and a breaded chicken breast in sauce is bad. Unfortunately, hidden carbs aren’t always so easily spotted. Do you know how much difference grilling as opposed to sautéing makes? What about seasonings? Having a copy of the Atkins diet food list is the first step, but really understanding carb levels in the foods you can eat is also important. 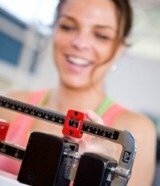 For instance, you can eat squash during weight loss, but that can be misleading. You can buy squash fresh, canned, and dried. Depending upon how you prepare it and the type of squash you buy, the carb count can range from 0.5 grams to nearly 10 grams! Kind of hard to count with that much of a range, isn’t it? That’s why a carb counter, which breaks down how many carbs are in a food very specifically, can be a real life-saver (or should I say diet saver?). You can buy Dr. Atkins New Carbohydrate Gram Counter listing more than 1200 brand-name and generic foods listed with carbohydrate, protein, and fat contents or you can print out my carbohydrate counter chart and post in your kitchen for quick reference. This chart is surprisingly detailed and has the information you need on almost any possible food.